book involving wolves which was spellbinding. The wolf culling in Western Canada is appalling, Jennifer, but I am very glad that my blog brought the issue to your attention. I loved Jodi Picoult’s book about wolves, too…it was excellent! Hi Leeanne…thanks so much for taking the time to leave a comment. I am very honoured to do my tiny part in helping spread the word about the wolf situation in Western Canada. 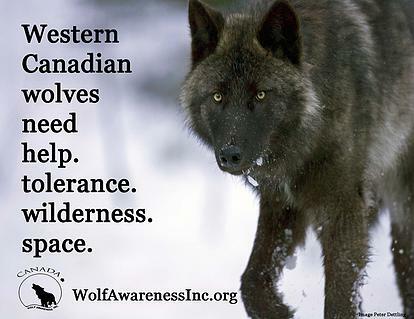 It sickens me that wolves are being needlessly killed – but I am very grateful to organizations such as Wolf Awareness Inc and Raincoast Conservation Foundation who are actively helping raise public awareness about the situation. Thank goodness.